I love Baking for Halloween. It’s a great chance to be creative and fun, without stomping on anyone’s pre-conceived ideas of what HAS TO BE BAKED. And Halloween Baking Pans make getting those perfect shapes SOOOO much easier! There are so many specialty pans to let you get your creative kitchen juices flowing. 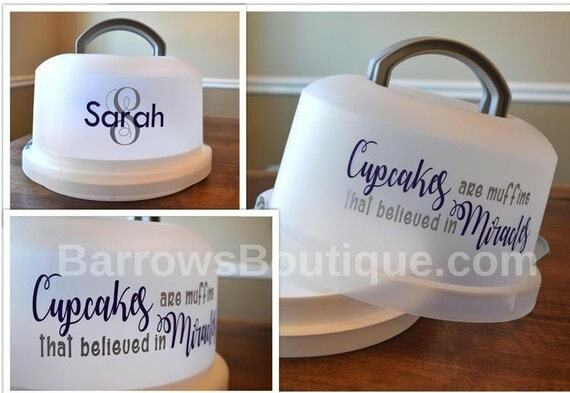 Large cake pans, little cake or cupcake pans, and fun shaped cookie pans. Pumpkins, Ghosts, Witches, and Bones….. yes, bones…. The cakes and cookies you bake are a great addition to your Halloween Party Buffet… or even just for your family’s fun. NOTE- If you decide to hand out home-baked treats on Halloween to Trick or Treaters, make sure to wrap them carefully, and then make sure the PARENTS know who gave their goblin those cookies…. Best to only hand them out to kids you know). Here’s a link to a Pumpkin Cake Recipe to get you started. Added bonus? 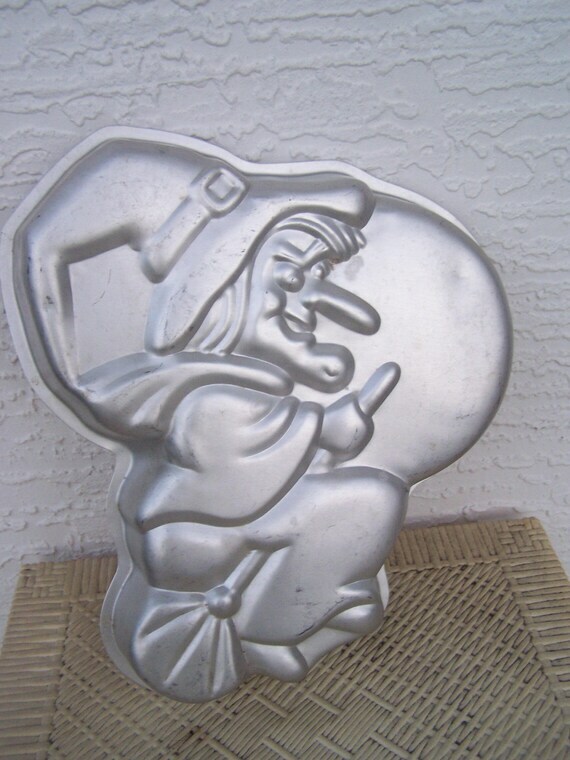 Some of the pans can be used for other uses….the Cookie Pan Molds can also be used for Chocolate! You can use cake pans for Jello or Ice… FUN! 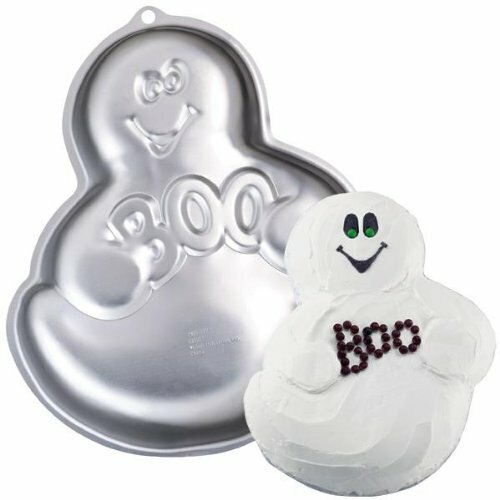 Get in to the excitement of Halloween… pick up a few of these fun Halloween Baking Pans and get to the kitchen! This pumpkin cake was baked with the Nordic Ware Pan. Click them image to purchase the pan. Had fun Baking Halloween Treats? Try Making Halloween Chocolates! 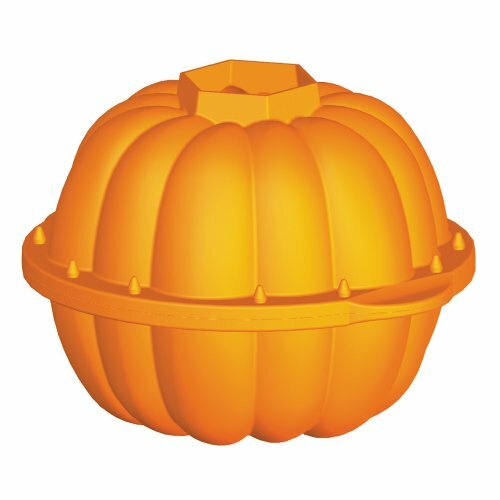 Pumpkin Shaped pans are perfect for Pumpkin Cake. Decorating is easy… a little glaze, or orange frosting, or just a sprinkle of powdered sugar! If you want to get fancy, you can create leaves out of Fondant or chocolate. Pipe on some green icing for vines….done. You can also make pumpkin shaped single layer cake or a loaf covered in pumpkins… whatever makes you happy. The best part about white icing is not needing to use a lot of food color. Ghosts can be spooky or friendly! (Perfect for that Not so Scary Halloween experience). Big witches and Little witches… fun to bake and decorate… I love the cupcake molds with witchy feet! This is a great chance to break out the green and black food coloring. Bake Bone shaped cakes and Muffins…build your own cake skeleton! Different Spooky Molds to have some fun in the kitchen… bake up some spooky shapes! Bats, spiders, tombstones and more! I also found that using a Red Velvet Cake base gives your cake that … “bloody” look. previous Spicy Pumpkin Seed Brittle Recipe- Sweet, Salty, Spicy Pepita Brittle! next Cute Halloween Baking Ideas that are Fun and EASY!